Many schools have Year 11 mock GCSE exams over the next few weeks. In case you have time to run a few revision lessons before your mocks start, this post provides a quick reminder of some great resources. Access Maths is an excellent source of revision activities for the classroom. There's a large selection of resources on the 9 - 1 Revision Material page for both Foundation and Higher tier. Even if you don't use Corbett Maths 5-a-Day on a daily basis then you still might find them useful in revision lessons. In my post about Structured Revision Lessons, I wrote about how I used 5-a-Day in the run up to last year's GCSEs. At five different difficulty levels, they're suitable for all GCSE students. On Mathsbot.com you can generate GCSE revision grids containing questions for Foundation, Crossover or Higher. These grids can be displayed on the board or printed onto worksheets for revision lessons. 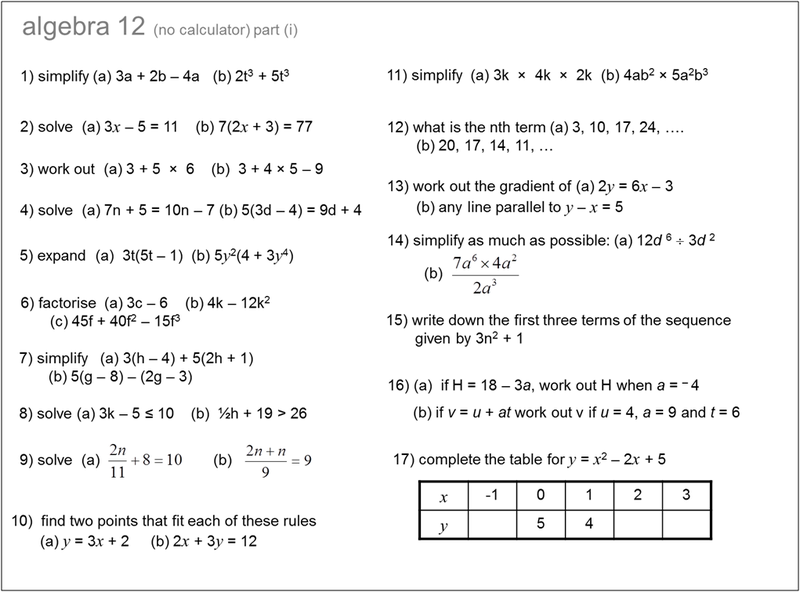 There are a number of other GCSE resources on MathsBot that might be helpful for mock revision. Many schools use a QLA (question level analysis) to analyse performance by topic after exams. If you register with PinPoint Learning you can get QLA spreadsheets for free, all ready to complete, for every practice paper and past paper for all awarding bodies. So schools don't need to create their own QLA spreadsheets. PinPoint Learning also offers a tool where you can upload your completed QLAs (or have students input their own marks) and produce a tailored booklet of questions for every student. A departmental analysis of mock results can also be generated. This normally comes with a subscription costing £400 a year but they are currently offering a free trial until 25th January. There are loads more revision resources in my post GCSE 9 - 1 Revision Resources and my post about Revision Clocks. It's also worth reading my post Higher GCSE revision from 2015. I wrote it for the old GCSE but all the resources featured are still useful, including the excellent activities on Don Steward's practice blog. Good luck with the mock marking everyone!